This utterly unique how-to supply chain management work is written as mystery to help engage readers. It fills the need for an accessible work on supply chain management skills that helps strengthen, improve, and adapt the management of industries to meet the swiftly changing needs of a global market. The Missing Links follows a small furniture company whose owner has died under suspicious circumstances, leaving his musician daughter in charge. The business newcomer encounters a multitude of problems–high work-in-progress inventory, unsafe working conditions, conflicts between two in-house factions, longstanding customers beginning to withdraw their business, and increased competition. Can the factory ever be profitable again? Readers follow the journey of the company to utilize industry standards, including total quality, lean, total productive maintenance, flow management, as well as the newest demand driven methodologies that are changing modern supply chain management. “Clues” dispersed throughout the manuscript point readers in the direction of an affiliated website where they will find 33 appendices of charts, forms, and additional improvement information that can be customized, regardless of size of the company, or industry. This unique approach–similar to the bestselling work The Goal–wraps a how-to book on supply chain management in a mystery novel. Introduces the effectiveness and simplicity of new demand driven methodologies (DDMRP), along with total quality, lean, TPM, and flow management. Written by an award-winning French author, and President of Fapics, the French Association of Supply Chain Management. “Clues” throughout the manuscript point to 33 full-color appendices on an affiliated website that will be updated regularly after the book is published. Ties in perfectly with the Demand Driven Institute’s certification programs. "This book can be read by anyone with an interest in how businesses can be run more efficiently and effectively." 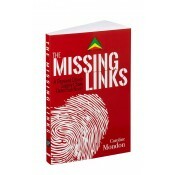 "I will definitely recommend this book to my supply chain management students." "I wish all textbooks were written like this one!"